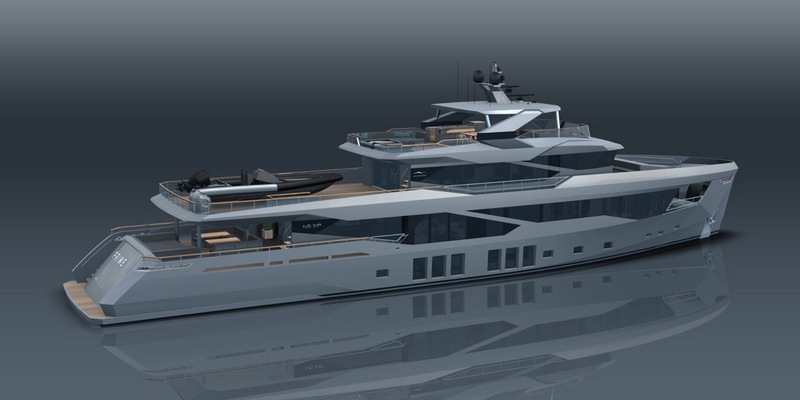 Numarine, the Turkish shipyard that builds yachts between 19 to 35m, is attempting to edge deeper into the superyacht market with the launch of its 45XP explorer model. The design and engineering of its new 45XP is complete – the model carries many of the same characteristics as its current 26XP and 32XP models, but on a larger scale. The 45m model has been designed with long range cruising in mind with an extended range of 4000nm excepted at a cruising speed to 11-12 knots, with a number of amenities available to make extended time on board as comfortable as possible. Genuine autonomy has, traditionally, been one of the major barriers to genuine exploration on board a superyacht where infrastructure is no readily available. 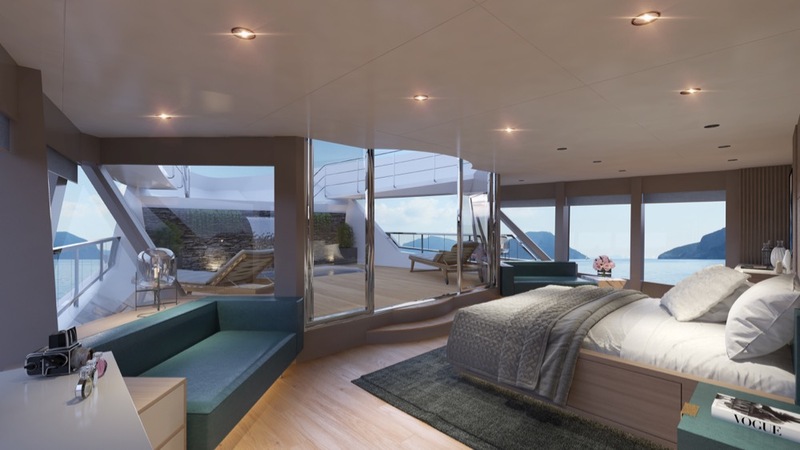 “A break from the norm in long range cruising, the 45XP combines stunning aesthetics with unsurpassed ocean-going performance, an extended range and the capability to navigate the world’s toughest waters in absolute comfort,” explains the yard. After a joint venture with Abraaj Group, the Turkish shipyard was put under sole ownership of its founder Omer Malaz in 2012 and has been looking to expand into emerging markets. 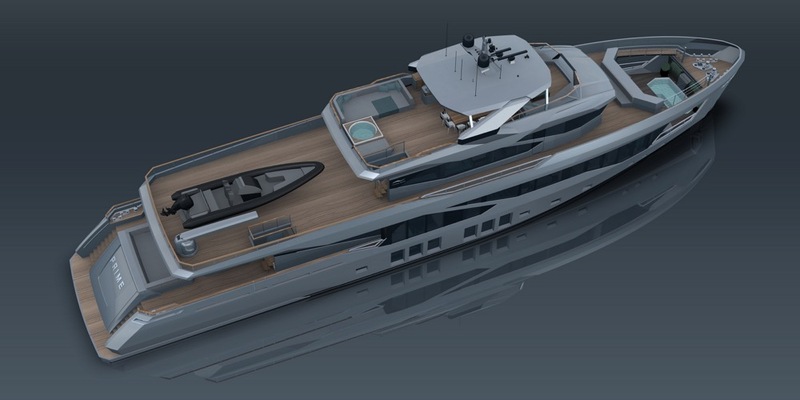 Numarine has previously only made yachts around the 30m mark. This flagship model is the shipyard’s first 40m-plus projects and acutely highlights the yard’s desire to access new markets. The yard has only produced 13 30m-plus yachts in total. After a dramatic dip in activity in 2011, where the shipyard didn't build any 30m-plus superyachts for three years, it has now seen a return to consistency, with the yard delivering three vessels in 2017, as well as a single vessel in 2018. It is expected that Numarine will deliver two vessels in 2019, including the one vessel that the yard has already delivered this year. 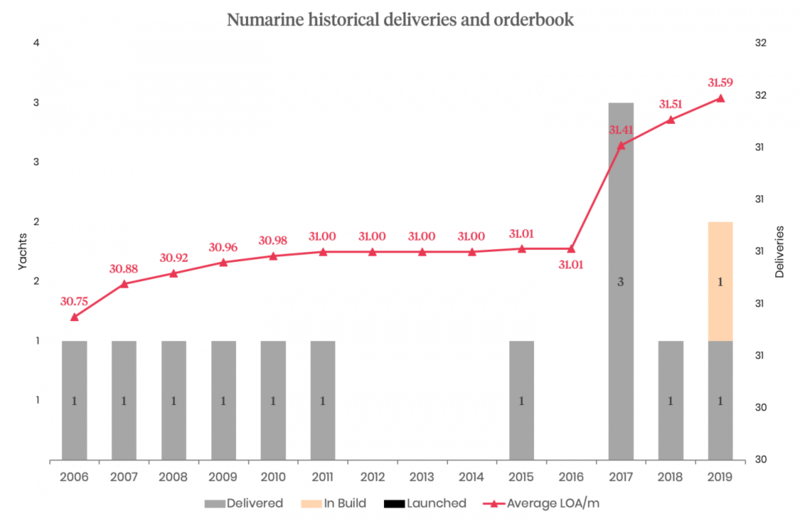 In line with market trends, the average LOA of Numarine superyachts has increased since 2016 and this latest model sees the company attempt to increase the size of its vessels further.